Do you really love Helvetica? Does something possess you every time you see it? Well then you may enjoy this (thank @davidplain). It's a site called Helvetitee! 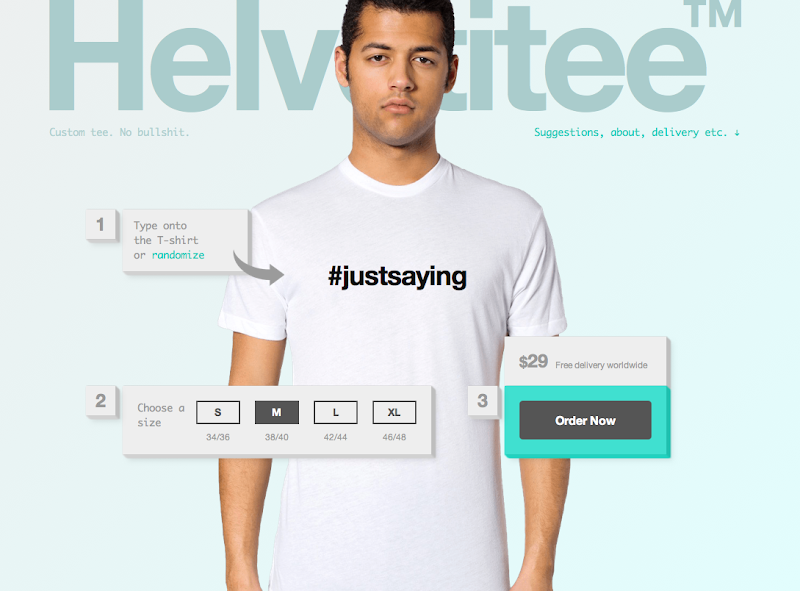 Get a customized message t-shirt in Helvetica. Don't know what it should say? Well then pick a randomized message and BOOM! Done. No, but really, does anyone else think they would benefit from selling multi-colored shirts as well? Just saying.